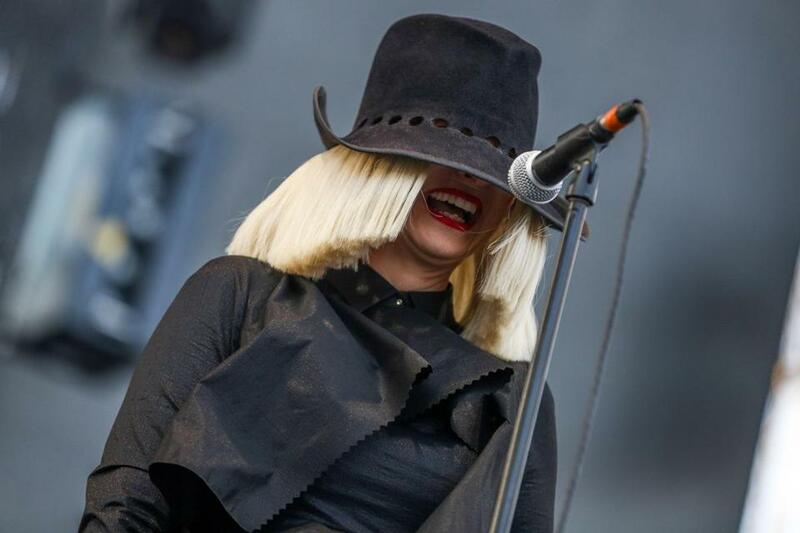 Sia performing at Wango Tango 2015 in California. The conceit of Australian singer, songwriter, and producer Sia’s latest album is that almost all of its 12 tracks were offered to, and rejected by, other artists. In the wake of Sia’s very personal 2014 release, “1000 Forms of Fear,” it’s interesting and illuminating to hear how she approaches writing lyrics, melodies, and vocal arrangements for other people, while working with tracks crafted by artists as diverse as Kanye West and Jack Antonoff of fun. and Bleachers. Sometimes it’s obvious. The thumping groove of “Move Your Body” — which in a just world would be a dancefloor smash — has Shakira written all over it, and inspires the titular command. The Kanye collaboration “Reaper,” obviously meant for Rihanna, is the most sound-alike track here. Likewise, the hip-hop-tinged “Sweet Design” clearly was destined for Beyoncé; while it has cool moments, it also feels the least like Sia’s own style. Both the soaring opener, “Bird Set Free,” and the survivor anthem “Alive” sound like they got lost, unfortunately, on the way to Adele’s “25.” That superstar, who co-wrote the latter track, could’ve used the infusion of energy both songs offer as they build from piano ballads to midtempo churners. “Bird” in particular, with its lyrics “I don’t care if I sing on key, I found myself in my melodies, I sing for love, I sing for me, I shout it out like a bird set free,” is a lovely manifesto about what it means and how it feels to express yourself in song. Sia does it, like most of the songs here, with vocals that range from vulnerable rasps and squeaks to mighty roars. While Sia has declared her awareness of the cheese factor in her hired-gun material, with its broad themes of self-empowerment and survival, she has a real gift for making it palatable — nowhere moreso than the serpentine swivel of the celebratory “Cheap Thrills,” which boasts a frothy ABBA sheen and playfulness that likely wouldn’t have survived in, say, Rihanna’s care. Sia may not think of it as “real” or “art, but “This Is Acting” is a real good time. Sia performs at Boston Calling on City Hall Plaza May 27.